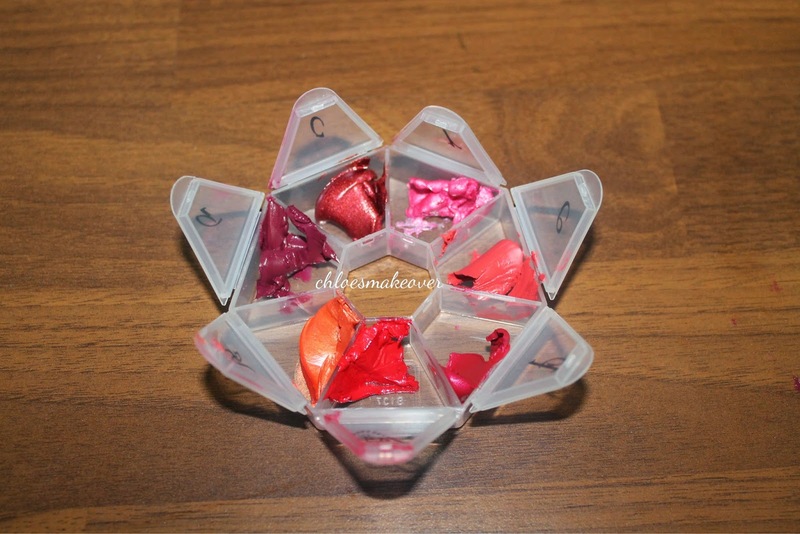 Start by using the nail file to scoop out the lip color from the palette then transfer it to the depot container. 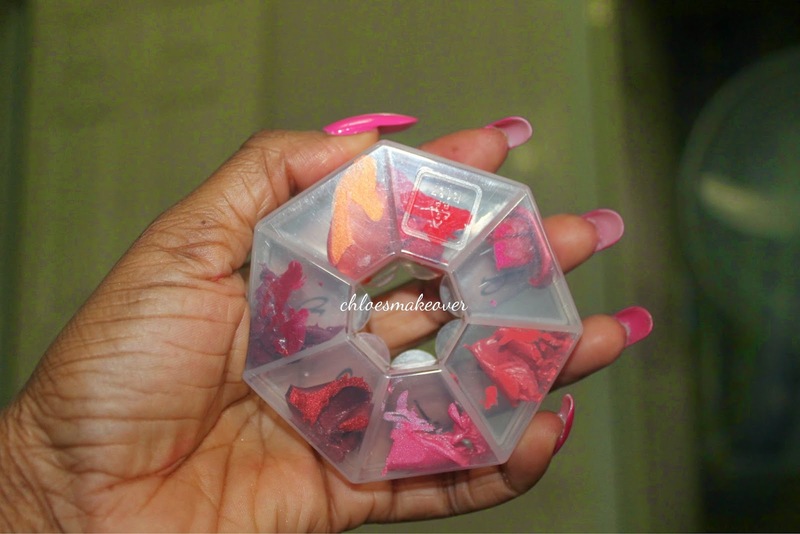 As you depot each color, you have to clean the nail file so you don't transfer one color to another. 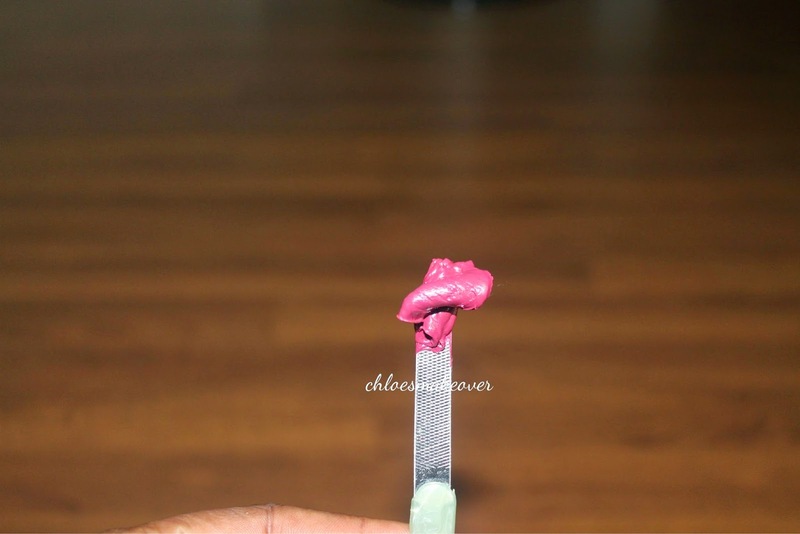 After depotting all the colors, use the cotton bud to clean up the edges incase of any spills. 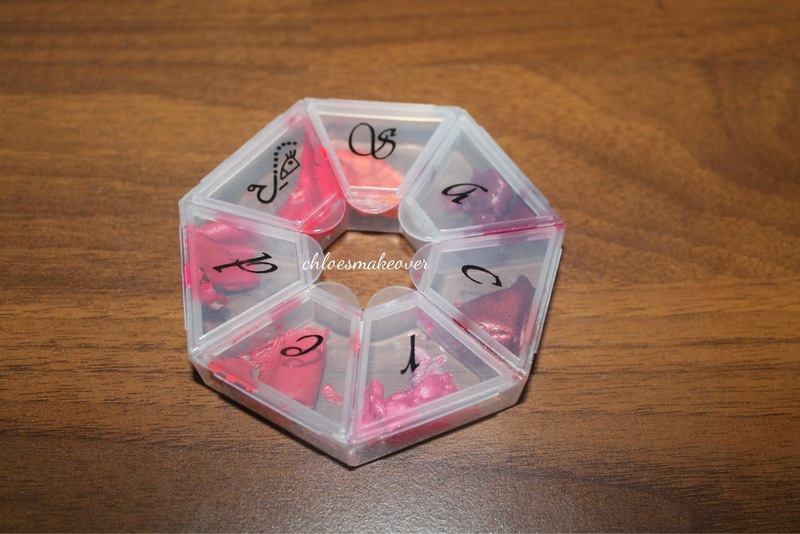 Aside from lip products, you can also depot cream products like foundation and concealer, eyeshadows, and even blush. 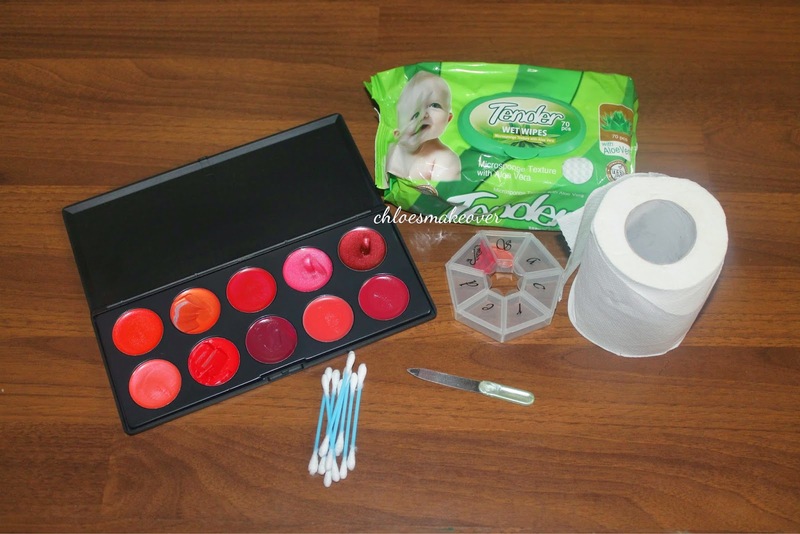 Depotting makes it easier for products to be carried around, especially your work kit as it helps to minimize space. I've got a blog giveaway coming really soon, you all should look out for that. Cant wait 4 d give away oo....nid me sm goodies@! I like...... Inshort me like this pallete. Looking forward to the giveaway.